· Design, encounters, scripting in Level 1, "City"
In Blastrobots, players control junky, misguided robots as they create havoc in a clean, utopian space station. Rampage through a beautiful city, battle waves of enemies while zooming down a freeway, and survive an epic boss battle, while trying to achieve a high score! Blastrobots have two weapon slots and can pickup Flamethrowers, Lasers, Rocket Launchers, and Spread Shots. Each unique combination of weapons produces a different combo super shot! 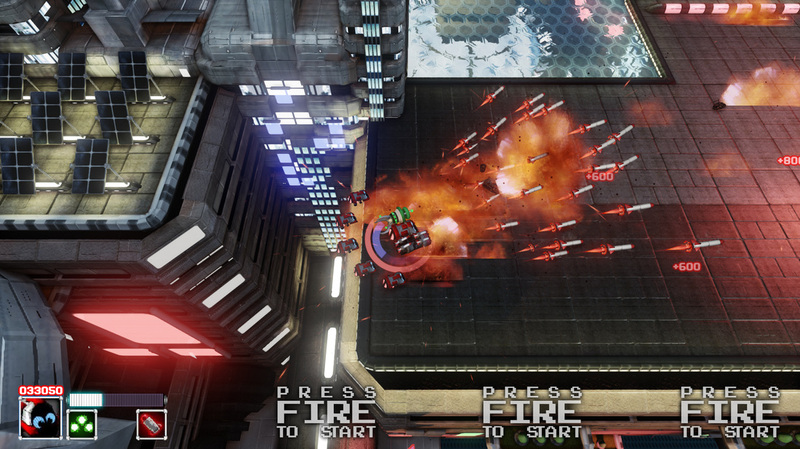 As a level designer on Blastrobots, my primary task was to design and create the gameplay for the first level, "City". I scripted combat encounters, destructible objects, and barriers that control player progression. I frequently playtested on my own, and in multiplayer mode with my team members to maintain balance. 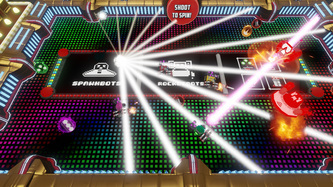 On Blastrobots, I was also fully responsible for lighting and light-related scripting effects in all four of the game's levels. In pre-production, I developed the original idea for the game's overheat/revive system that allows players to escape death through a small button mash mini game that gets harder each time they overheat. In Blastrobots, I also contributed to discussions regarding the game's overall vision and design as well as weapon and enemy design. Throughout the project, I was a huge advocate for player feedback, both audio and visual. I worked closely with the programmers to achieve effects like camera shake that all of the level designers could easily implement with our custom isometric camera. I chose and implemented many of the game's audio effects as well. I also prototyped a small hub world that randomly selects levels until players complete all four. Teach: As the first level of Blastrobots, "City" needed to introduce players to the game's enemy types, weapon types, and pickups in a graceful way. To ensure this, every time I introduce a new enemy type, it is in a very small quantity and accompanied only by previously encountered enemies, if any. This ensures that player can learn new behavior in a low stress and distraction environment. Feedback: The "City" level reflects my strong advocacy for player feedback. 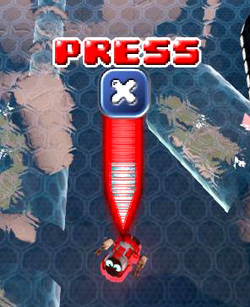 All destructible objects flash red and play a damage sound when players shoot them. Electrical pipes that connect to these objects quickly flash off and back on again with using material and individual light animations. When players destroy an object, the camera shakes as explosion particles and sound effects fire. 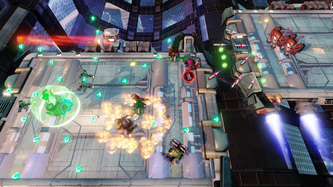 Balance: As the first level in Blastrobots, the "City" it was very important to achieve gameplay balance to ensure players are immediately having fun and also learning the game's mechanics. I constantly playtested and adjusted enemy compositions and quantities to achieve a gameplay that is both challenging and accessible for newcomers. 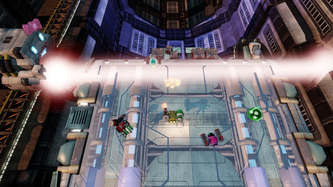 Reuse Space: The "City" is the only level in Blastrobots that features traditional dungeon-crawling progression throughout a space. This was the largest space I'd ever had to design for before having most of the necessary art assets. In order to reduce risk, I opted to design gameplay that reuses the city space and involves some backtracking featuring different enemy encounters for each pass. The initial idea for this concept involves a small stationary mini boss in the center of four quadrants. 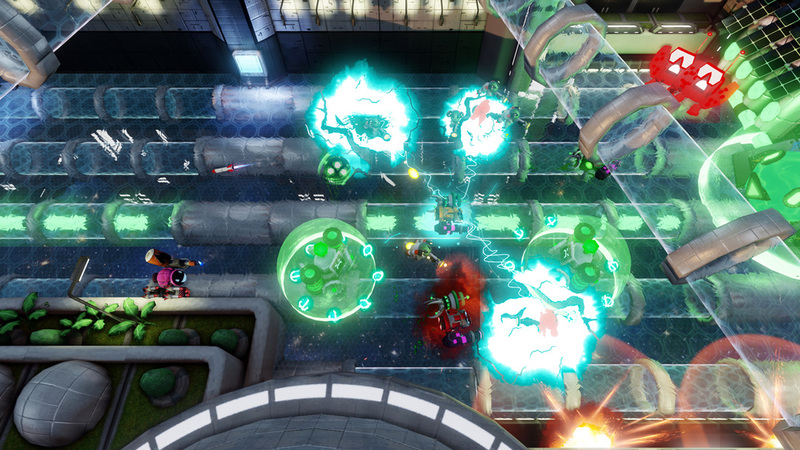 Each quadrant represents one of the four main weapon pickups in Blastrobots. When the mini boss emerges from the floor, the quadrants begin to light up quickly in clockwise succession. When players inflict enough damage on the mini boss, the "wheel" slows down and eventually lands on one of the quadrants. This opens up a new level themed after that quadrant's respective weapon. Once players complete that level they are transported back to the hub to fight the mini boss again but now the selection is only between the remaining three quadrants. 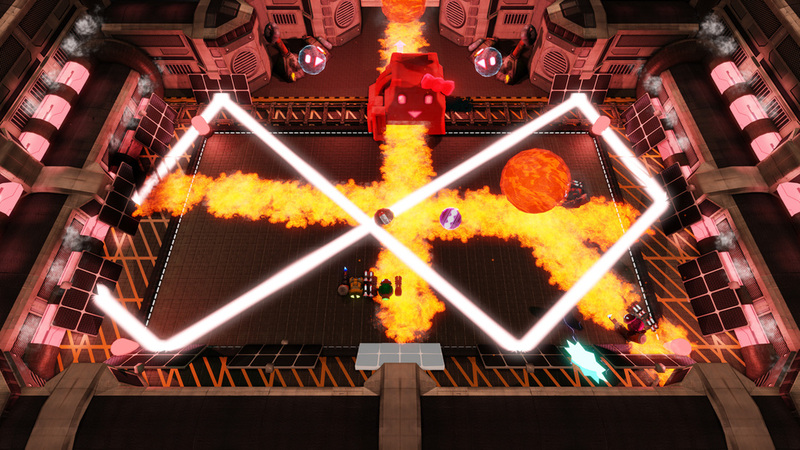 These later levels never appeared in the RTM build of Blastrobots due to time constraints. However, I set some time aside to prototype the idea's feasibility. The wheel is fully automated, and cannot pick a quadrant more than once. 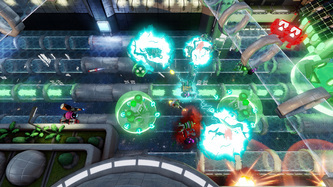 Lights on the floor animate towards the representative "mini boss" in the center during the spin phase, and towards the opened quadrant once it's selected. This section contains a gallery detailing Kismet used to make this prototype for Blastorbots. Refer to the image captions at the bottom for a walkthrough. Use the thumbnails at the bottom to navigate and click on each image to view it in high resolution. In Blastrobots, I lit and scripted lights for all four levels. I also made matinee camera animations to produce screen flash for combo shots like the Chain Lightning. The city features barriers, shields, and electrical pipes that all emit true light and use matinee animations to fade in and out when they appear and disappear. As a huge advocate for player feedback, dynamic lighting was a great outlet to ensure players feel the effect they have on the world around them and the progress they make. The final boss level features two stages. I wanted to reflect that and the increase of urgency through the lighting I built for it. During the second stage, emergency lights begin violently flashing as an alarm drones. Refer to the short video below for demonstration.